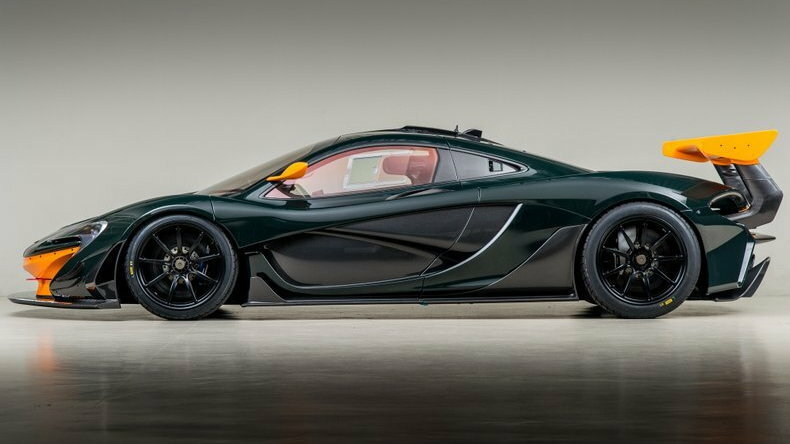 The very first McLaren P1 GTR delivered in the United States is now for sale. None other than Bruce Canepa is the owner, a racing driver and expert classic car restorer. The supercar is actually for sale via his own firm, Canepa, based in California. The car is truly a one-of-one vehicle since Canepa specified the entire build along the way. It has just 120 miles on the clock, and Canepa says the car hasn't been tracked nor raced. It starts with the exterior, which features a shade of "Canepa Green." 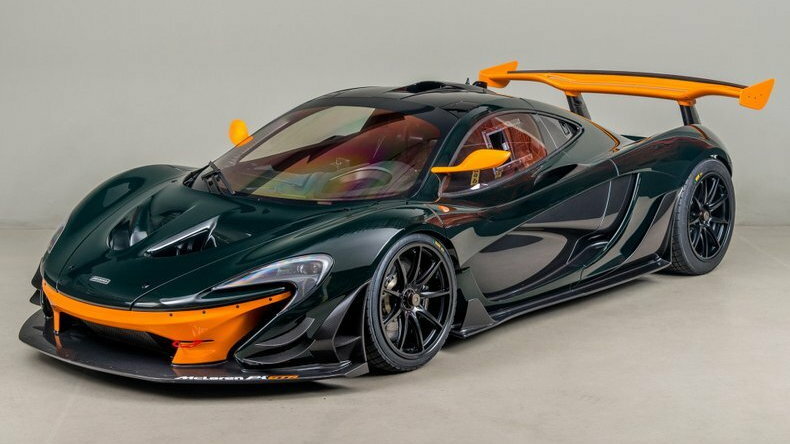 Canepa had the color specially mixed and sent to McLaren to finish the P1 GTR in the dark green color. The accent color is Papaya Orange, a staple McLaren shade. Other minor details include a McLaren heritage badge, which looks like the badge seen on the McLaren F1, and an Alcantara dashboard. There's also a passenger seat with a full racing harness to let someone else experience the raw thrills the track-only machine provides. Power comes from a 3.8-liter twin-turbo V-8 engine that makes an extra 83 horsepower compared to the standard P1, which was already a healthy 903 hp. 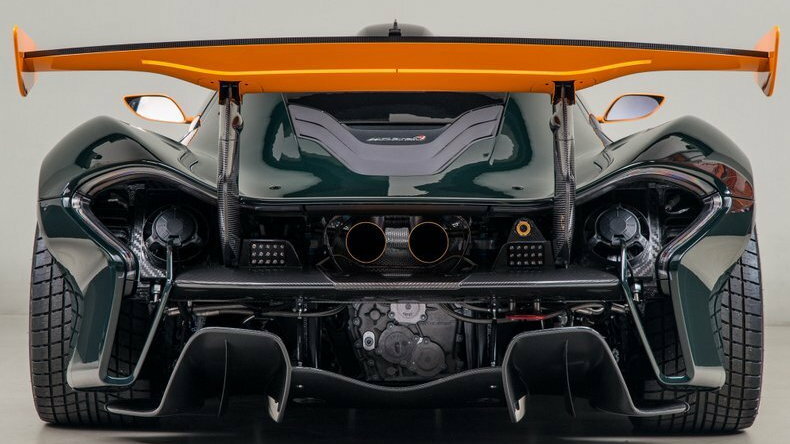 Without regards for road regulations, the track-only P1 GTR took this up a notch. 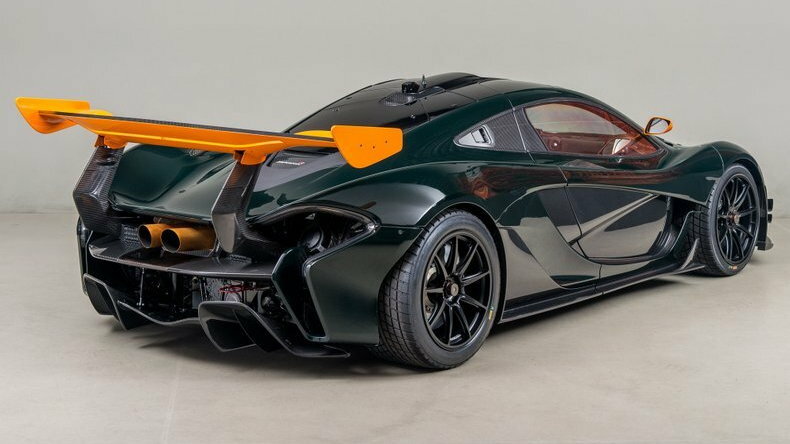 Aside from the power bump, the P1 GTR features a wider track, racing slicks, and a tweaked exterior design to improve aerodynamics on the track. A titanium-alloy exhaust system ensures the twin-turbo V-8 howls far louder than the standard road car, too. Canepa doesn't list an asking price for the car, but says it will consider buyers from around the world. 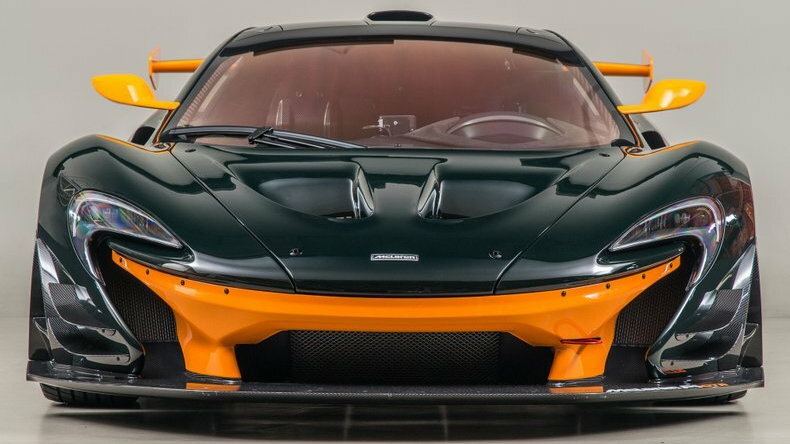 For some reference, the P1 GTR cost 1.98 million British pounds when new, or about $2.63 million at current exchange rates.